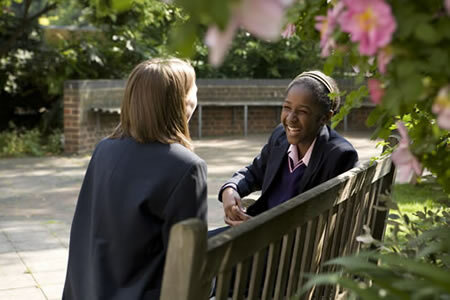 St. Saviour’s & St. Olave’s School was founded as a grammar school for girls in 1903. It belongs to the St. Olave’s & St. Saviour’s Schools Foundation, which can trace its history back through four centuries to the time of Queen Elizabeth I. Two ancient grammar schools, the St.Saviour’s Grammar School, which was granted a Charter by Queen Elizabeth in 1562, and St. Olave’s Grammar School, which received its Charter in 1571, were amongseveral educational institutions supported and financed by the voluntary efforts of the citizens of Southwark and finally amalgamated in 1899 into the present Foundation. The school first opened on the 26th January 1903 with eighty-four girls in the premises of St. John’s Elementary School. 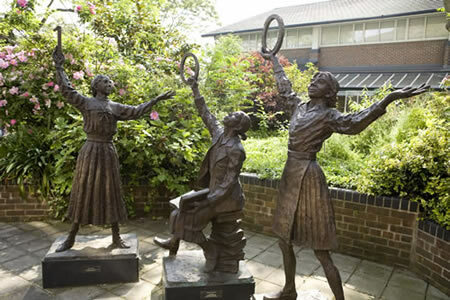 The building was completed and opened by their Royal Highnesses the Prince and Princess of Wales (afterwards King George V and Queen Mary) on 14th March, a date kept as the School Birthday and marked each year by a Service of Commemoration and Thanksgiving at Southwark Cathedral. A visit by HM Queen Elizbeth II crowned our centenary celebrations in 2003. St. Saviour’s & St Olave’s is a Voluntary Aided School. The Governors own the buildings and are responsible for their general repair and maintenance.